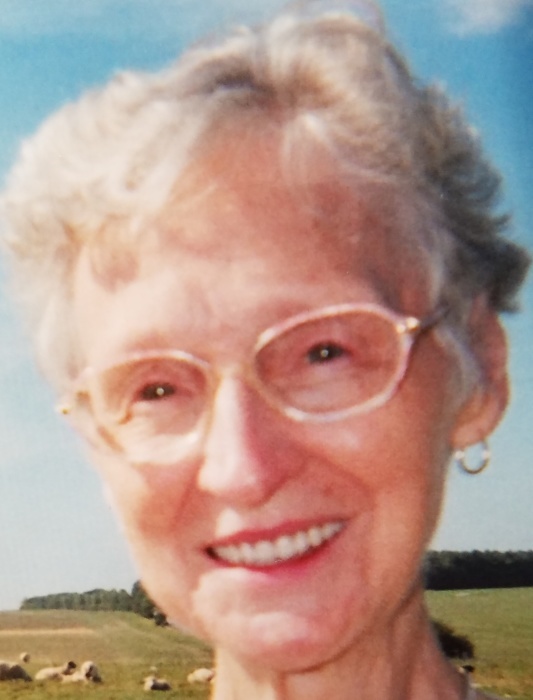 Rosemary Veronica Griffiths, 88, of Butler passed away August 26, 2018 at the Stony Brook University Hospital in New York. Born October 16, 1929 in Alnmouth, England, she was a daughter of the late Thomas E.C. Graham and Veronica Conmy Graham. Veronica was a member of St. Paul Roman Catholic Church in Butler where she served as a member of the Christian Mother's. She enjoyed knitting, embroidery, reading, music and playing scrabble. Surviving is her daughter, Susan (Stephen) Tychnowitz of Long Island, NY. Four grandchildren: Christopher (Shannon) Tychnowitz of Corpus Christi, TX., James (Janelle) Tychnowitz of Long Island, NY., Mary (Seamus) Nelson of San Antonio, TX. And Andrew Tychonwitz of Long Island, NY. Six great-grandchildren: Emma, Savannah, Luke, Bernadette, Eleanor and Jacob. In addition to her parents, she was preceded in death by her husband, Rev. James E. Griffiths who passed away September 27, 2004. Two sons, David and Peter Griffiths and a sister, Mary Graham Parker. There will be no visitation. A Mass of Christian Burial will be celebrated Saturday at 10:00 am from St. Paul Roman Catholic Church, 128 North McKean St. Butler, PA 16001. Rev. Harry Bielewicz, Pastor, to officiate. Interment will follow at St. Michael Cemetery in Butler. Arrangements by the Geibel Funeral Home, 201 East Cunningham St. Butler, PA 16001. St. Pauls Catholic Women and Christian Mothers will meet at 9:30 am Saturday to recite the Rosary.